Wood panelling – my most viewed photo! 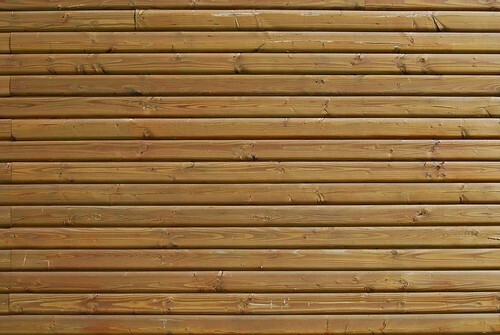 Texture – wood panelling, originally uploaded by timabbott. It is, to me, one of life's little mysteries that this is my most viewed photo by far on Flickr. About 2500 views. By comparison, the next highest picture has about 700. I know that compared to some giants of the Flickrverse 2500 views is peanuts. But for a picture of a wood panelled wall? It was taken as part of a vague theme to record a wide range of textures that might be of use as backgrounds. The CC licensing is an acknowledgement that this picture might be of some use to others and it really doesn't harm me to let them download it. Which must surely account for the number of views. I mean, you wouldn't click on this image just to take a closer look would you? Not unless you're a student of 21st Century wood panelling. So I'm guessing there are people out there who have this bit of interior wall for their computer desktop, Powerpoint / Keynote slide background or perhaps something else. I just never imagined it would be so popular.